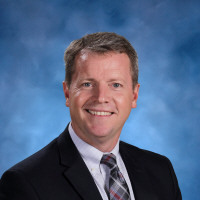 Hello, my name is Rich Fulford and I am excited to serve as Middle School Principal of Christian Academy of Knoxville. I am excited about the work God is doing here as well as what He has in store for all of us this school year! This is a great time to be a CAK Warrior. Our students are experiencing tremendous success in academics as well as in the many co-curricular activities offered at CAK. I am a firm believer that the two go hand-in-hand. Students who hold themselves and are held to high standards achieve their goals. At CAK's Middle School we expect for our students to succeed! The Bible tells us in Proverbs 16:3 “Commit your work to the Lord, and your plans will be established.” I believe that to be true and have witnessed it play out as our teachers and children have committed themselves to the work God has for them and as a result, they have experienced the rewards of their efforts. This school year will be no different. We will continue to commit ourselves to the work the Lord has for us and we will accomplish great things through Him. Middle school years can be tough. We plan to make it easier. Not so much academically as we will continue to challenge students with a rigorous and rich curriculum. Rather, we desire for each child to understand that everyone adds value to our school community and their significance is based upon the work Christ did on the cross rather than individual gifts and accomplishments. The result is an identity in Christ that gives our children confidence in who they are. That confidence allows our children to feel at ease in what can be a challenging time in their development. It is my goal that every child will grow academically, socially, in co-curricular activities, and spiritually as they develop confidence in who they are as individuals, students, and Christians. The Bible is filled with ordinary individuals who have accomplished great things by simply saying ‘yes’ when they were called by God. CAK's Middle School is full of ordinary individuals who can and will accomplish extraordinary things with a new-found confidence in Christ that allows them to say ‘yes.’ I look forward to partnering with you, their parents to provide the opportunity for every child to experience the success God has planned for them this school year and beyond!